This Clean Mass Gainer Protein is the ultimate in Mass Muscle Building Protein Blends! ULTI-GEN’S GRO-WHEY CLEAN GAINER PROTEIN is the ultimate in mass building, high protein blends! With ULTI-GEN’S carefully formulated Anabolic Protein Blend in an effectively dosed ratio of WPI, WPC and Hydrolyzed Whey Peptides along with ULTI-GEN’S Advanced Carbohydrate Complex, this clean mass builder will deliver ultimate anabolic muscle mass! This mass building formula is packed with essential amino acids, high quality carbohydrates and a blended protein formulation that will deliver fast and sustained release nutrients to your muscles throughout your recovery period. 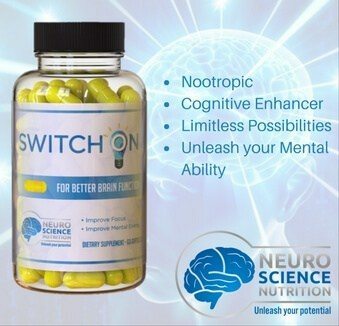 By providing your body with the right protein, carbohydrate and nutrient sources at the correct stages of your recovery you are guaranteed to see more effective results in a shorter period of time! 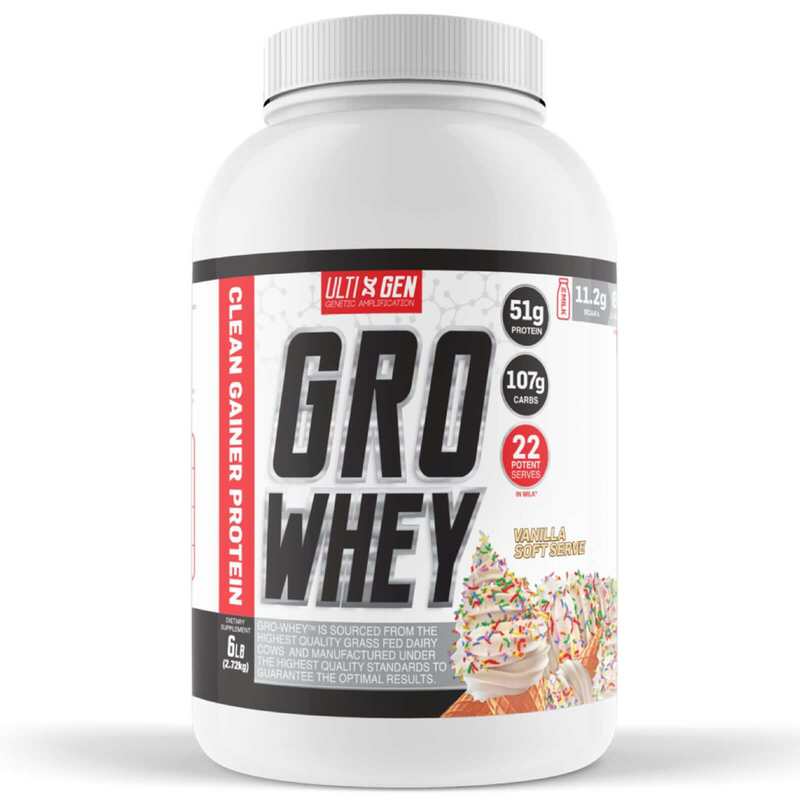 GRO-WHEY has been engineered with our superior 2:1 Carb to Protein ratio, when consumed in milk, to give you the ultimate in effective clean mass gainers. 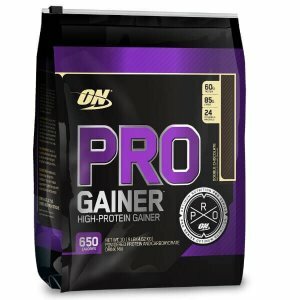 With 2 parts ULTI-GEN’S ADVANCED CARBOHYDRATE COMPLEX derived from clean carb sources without the high levels of sugars you find in other mass gainers and our high quality ANABOLIC PROTEIN BLEND this mass gainer is sure to deliver maximum muscle without the dirty bulk associated with most gainer style proteins. ULTI-GEN’S ANABOLIC PROTEIN BLEND is the perfect mass building blend of Whey Protein Concentrate (64%), Whey Protein Isolate (26%) and Hydrolyzed Whey Peptides (10%) to deliver maximum anabolic muscle growth and recovery with over 51g of protein per serve in milk! ULTI-GEN’S ADVANCED CARBOHYDRATE COMPLEX supplies your body with fast release insulin spiking carbs to deliver nutrients to your muscles, along with medium and slow release carbohydrates to stabilize blood sugars and provide you with sustained energy. ULTI-GEN’S ESSENTIAL RECOVERY AND GROWTH MATRIX incorporates the added benefits of over 7g of Branched Chain Amino Acids L-Leucine, L-Isoleucine, L-Valine along with Creatine, L-Glutamine and L-Arginine for ultimate muscle building and recovery. 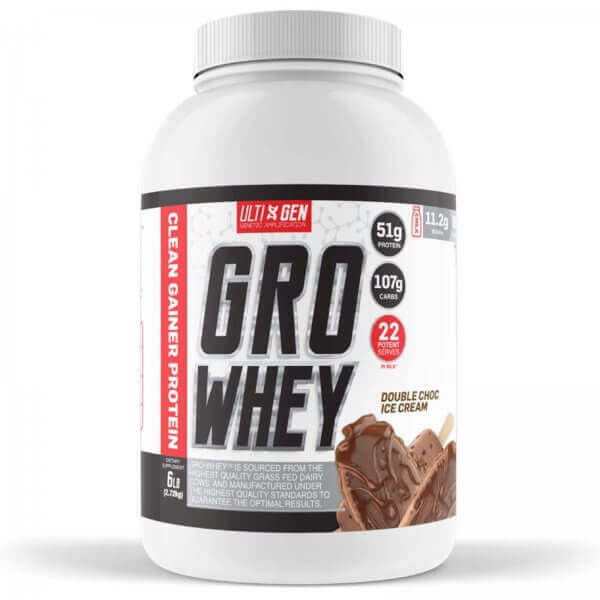 ULTI-GEN’S GRO-WHEYTM is ideal for any trainer looking to add maximum clean muscle mass with a specifically formulated high protein to carb ratio that will deliver mass gains fast. Take 1 serving (120g) in 500ml cold milk. Shake well until powder is fully mixed. 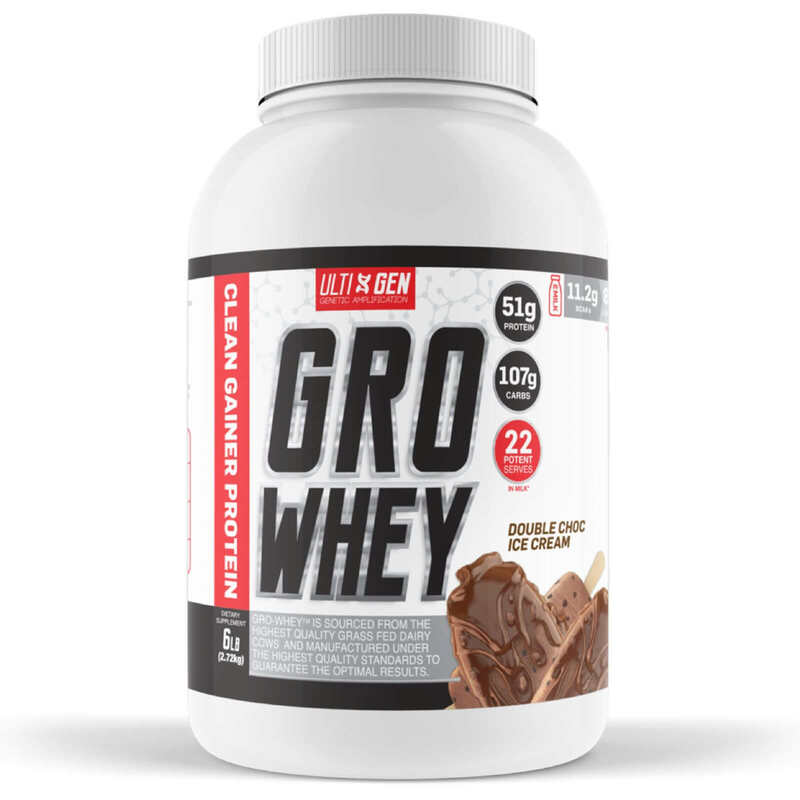 GRO-WHEY can be used in the morning, pre and post workout or as required based on individuals protein needs. For optimal results 1 serving should be had post workout, always within 30 minutes of training. To increase protein at each serving an additional scoop can be added to your shake.